Bankroll tips for pokies players are designed to help electronic gambling machine fans protect their budget. One of the most important strategic approaches to playing pokies is a system that gamblers call “bankroll management.” Read on to discover how to gamble responsibly and make the most of your bankroll when playing for real money online. Make no mistake: these machines are totally luck-based games, so leave any myths or misconceptions behind. Little or no player skill is involved in the way the games play out. But applying money management tactics helps us walk away from a bad session, leave a machine once we’ve won a certain amount, and have a better time on the casino floor. Modern poker machine games which are controlled by a random number generator and a computer motherboard are impossible to manipulate, so we are better off controlling the one aspect of play we can control – spending – rather than worrying about things we can’t control – namely, bad luck. A machine’s random number generator (RNG) is nothing more than a simple piece of software which constantly produces a random group of numbers within a specific range as determined by the manufacturer. Game designers are required to have this aspect of their games audited and tested by a third party auditor to make sure these numbers are truly random, lacking any pattern that could be exploited or manipulated by a player or venue. The equations that help a machine’s RNG produce these random strings of digits are called algorithms. An algorithm built into each game ensures the randomness of the spinning reel symbols. One way to think of a game’s RNG brain is to imagine a gigantic pair of dice, with thousands of sides. 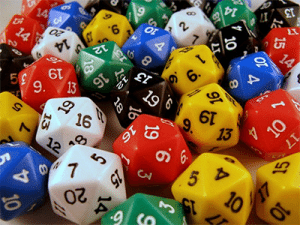 A series of truly random dice rolls means predicting the next number that will come up is impossible. The RNG inside a machine game is like a massive set of dice that can produce enormous amounts of random numbers. The random nature of the software inside the game is what makes the machine fair. The casino hosting the game can’t manipulate the algorithms to rip-off their customers, and those customers can’t tamper with the game to cheat the casino out of money. With knowledge of how the RNG works, it should be clear that no method for beating a casino’s machine games is ever going to work, unless you somehow collude with a game designer or casino staff, which is decidedly illegal. The best legal way to gain some control over slot machine gambling is to use common sense bankroll management tactics to make a poker machine more fun. Why does it become more entertaining? If you do it right, you’ll not only reduce your losses and protect your winnings, you’ll have new behaviours and expectations that keep the real purpose of pokies play at the forefront: entertainment. Spinning the reels when blind drunk, upset, in a bad mood, or otherwise emotionally distracted can make you forget all about the following rules. This should happen well before you sit in front of a game to feed money into the coin acceptor. Establishing how much you can afford to play really means determining how much you can afford to lose. If you just got paid and you have $1,000 in your checking account, it may be easy to say tell yourself you can lose $900 comfortably. The reality is everybody needs cash for daily expenses. Out of that $1,000 stack at the bank, a more realistic amount may be $100 or $200. Whatever the amount, it should be a stack you can lose without throwing your life into a tailspin. Let’s say you’ve decided you can afford to lose $100, protecting the remaining $900 in the bank for needful things – good for you. You’re on your way to being a responsible gambler. Now, again, before you open the casino door, figure out what your limits for losing and winning are. If you’ve said you can afford to lose $100, stick to that as your loss limit. The second you drop $100 on a poker machine, it’s time to get up and get out of the casino. Live to spin another day. A winning limit is a bit trickier to establish – more conservative gamblers may stop play if they double or triple their initial stake. For a player with a $100 stack, that means walking away once they have won an additional one hundred or two hundred bucks. Obviously, if you hit a nice jackpot, you may end up going well above this level. Say you hit a $1,000 jackpot half an hour into your session – since that’s ten times your initial stake, your best play may be to stop playing altogether, cash out, and go find another activity. These three simple rules are a no-nonsense way for pokies players to establish a budget, provided they keep track of their spending and actually stick to the three rules of bankroll management discussed above. 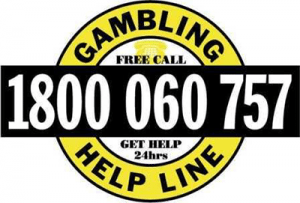 The rules are designed to teach poker machine fans how to quit when ahead or cut their losses. It may require a little extra work, but it beats spending the rent money chasing a progressive jackpot. Even if you don’t take any of the above bankroll tips with you to your next machine gambling session, at least remember the facts about the randomness of gambling machines. The RNG and the house advantage built into pokies are impossible to overcome. Keep in mind that casino gaming is supposed to be fun, track how much cash you’re spending, and quit while you’re ahead or not too far behind. This will keep you from throwing away your life savings on pokies. If you’re seeking help with your pokies habit, check out these resources for quitting the pokies. Looking for the best online casinos for your bankroll? Raging Bull Casino caters to low-stakes, high limit and V.I.P. players with all types of bankrolls with the best games and bonuses on offer.